As a writer, Ray Bradbury showed me how it was done. As a young boy, I loved his short stories – The Pedestrian, Dark They Were, and Golden-Eyed, The Fog Horn, The Lake, and The Sound of Thunder in particular. 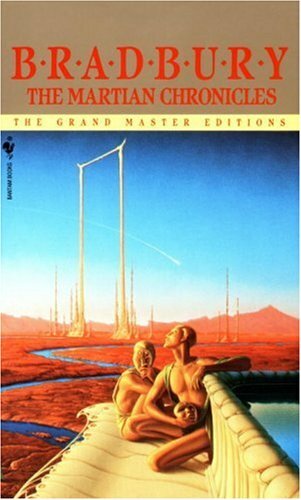 As a teenager I loved his collections that masqueraded as novels, such as The Illustrated Man and The Martian Chronicles. As a man I love his novels: Fahrenheit 451, Dandelion Wine, Something Wicked This Way Comes, Death is a Lonely Business, A Graveyard For Lunatics, and most recently, Farewell Summer. However, I admire Ray Bradbury for more than just his writing talent. I admire him for having the courage to live as a writer, to spend his time writing, writing, writing – and not really bothering about anything else. I also admire him because he abandoned formal education and educated himself in the library – and then became a very successful writer. As a writer he was prolific – novels, short stories, essays, poems, plays, film scripts and teleplays. He has written many of each. As a person, he was a living legend. Ray Bradbury was born in 1920, He died today (5/6/12) aged 91. Until today, he was still writing and still enjoying his life. He said in a recent interview that it was his love of writing that kept him young.